Our family was recently invited to attend the Disney Social Media Moms Conference. We had an amazing time and are so grateful for this experience. We spent time at Disney World and on the Disney Dream. The #DisneySMMC is an invite only event. All opinions are my own! Every time we go to Disney World we go with full intention of eating our way through the parks! Disney is all about the details and those details are not lost on the food. You can literally go into any section of any park and be even more immersed in the experience when you sit down for your next meal. You can go to Pandora the World of Avatar and dine like the Na’vi, head to the World Showcase and taste food from 11 different countries, and of course pretend you are Belle and have dinner at Be Our Guest. The food at Disney never dissapoints! Give us all of the churros, turkey legs, LeFou’s brew, mickey waffles, the “grey stuff”, rose gold cupcakes and of course the…Dole Whip! Oh, the Dole Whip! 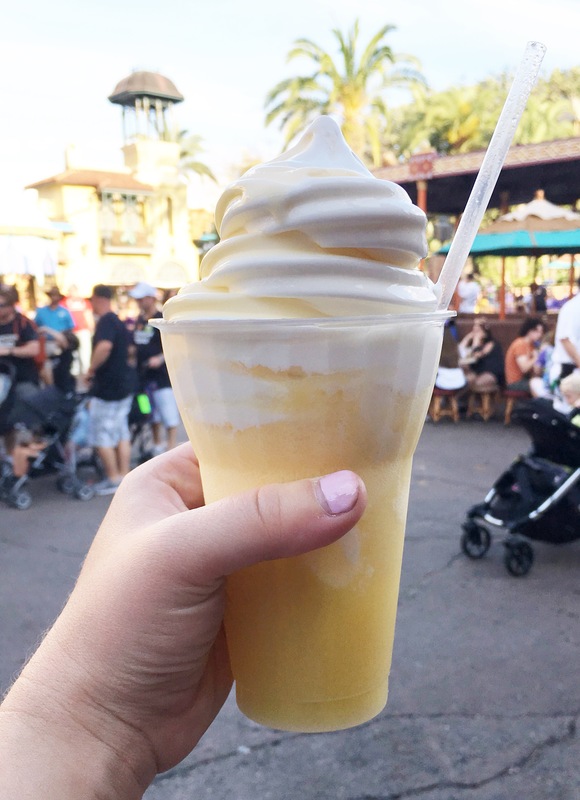 Since we have been back from Disney, Dole Whip has been on our mind. Since we could not shake the craving, we decided to make our own and it is beyond delicious. Of course we had to close our eyes and pretend we were sitting in the middle of Adventureland enjoying our pineapple goodness but it was definitely yummy! 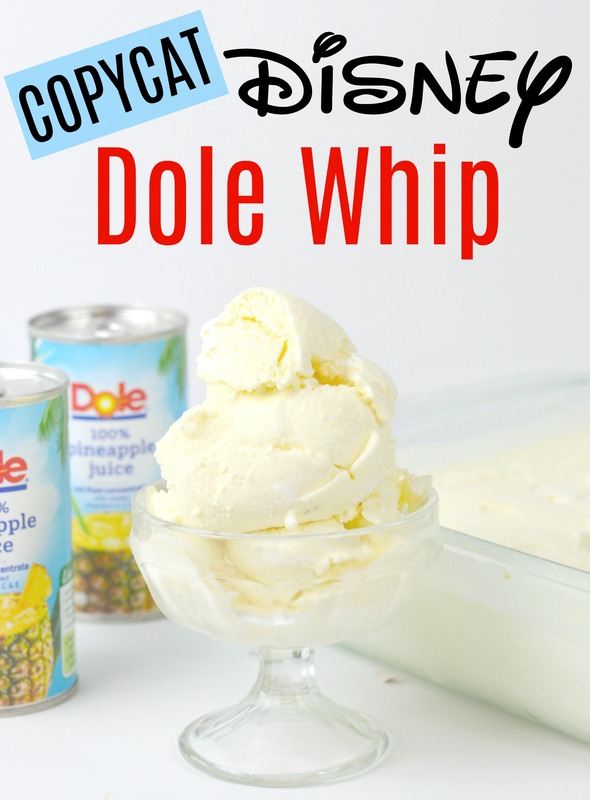 Here is what you need to make your own Disney’s Copycat Dole Whip Recipe! 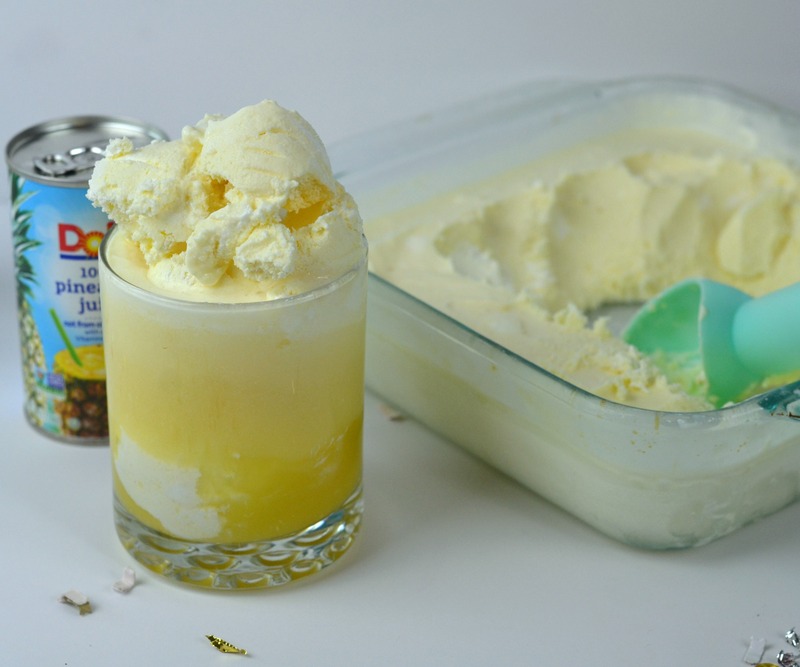 Put pineapples, lime and pineapple juice and sugar in blender and blend until smooth. Pour mixture into glass dish and freeze for at least 30 minutes. One frozen fold pineapple mixture and cool whip together in large mixing bowl. Pour back into glass dish and freeze for 2-4 hours. Serve and enjoy! 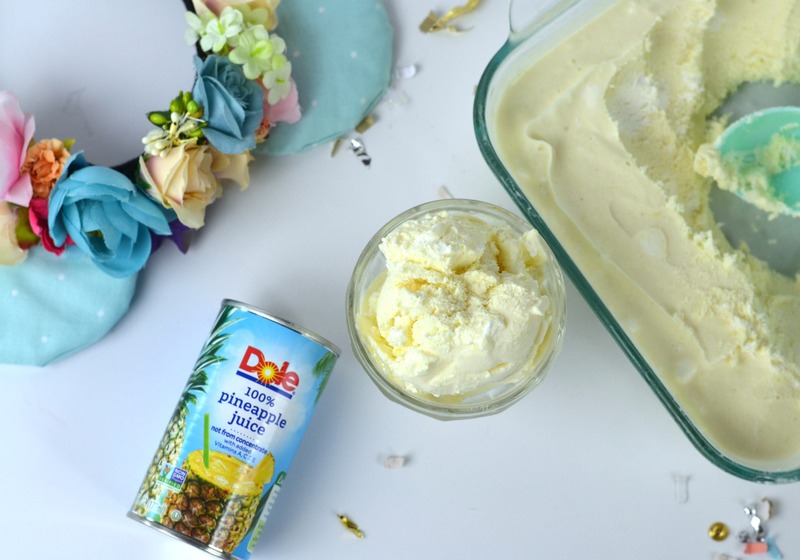 Don’t forget to try your Dole Whip as a float! This is my ultimate favorite treat in all of Walt Disney World! 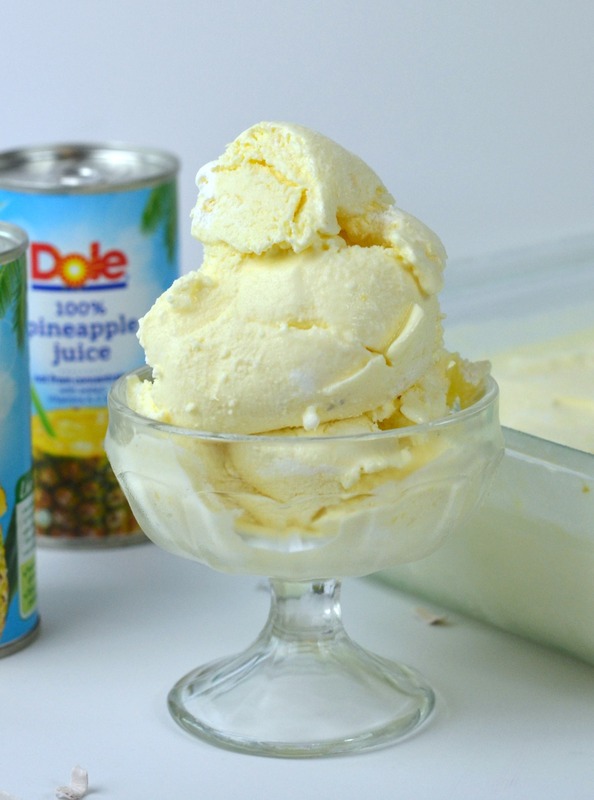 Scoop your Dole Whip up and pour Dole pineapple juice over top. There is nothing better! We plan to be eating this deliciousness on repeat until we make it back to the world of magic! Disney, we cannot wait to see you again soon.